Great customer service isn’t just about effective customer complaint management. It’s about providing a positive experience at every touch point or customer interaction, as excellent client service reaps loyal customers, who are worth 10 times as much as their first purchase. Customer service can make or break a business. According to a recent customer experience impact report, almost 90% of consumers have switched to another company because of a bad customer service experience. As a business owner, HR manager, team leader, or department head, it’s important to know when your employees need customer service training. Here are the signs you need to watch out for. When customers become agitated with the current service they’re getting, they usually ask for a manager. This usually happens when a customer feels like an employee or agent they’re talking to is not capable of handling the situation, not knowledgeable enough about their concern, or is not willing to address their problems. When employees are properly trained and oriented to provide excellent customer experience, manager escalations can be avoided. Although not every employee is innately great at interpersonal communications, especially when it comes to frustrated strangers, proper customer service skills can be learned and enhanced with training. 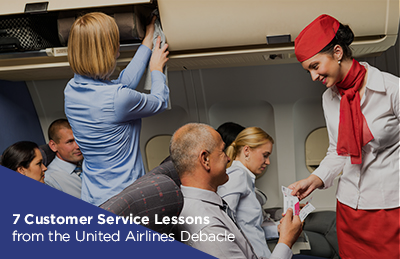 If your managers are always being asked to deal with agitated customers, then you should quickly address the gap in customer service training. Customers immediately take to social media a bad customer experience – and it will potentially go viral. The next thing you know, your company is the subject of scrutiny all over the world, and other people are sharing their own terrible experience about your business. Having a bad online reputation can destroy the years of hard work it took you to build your business. Existing clients will stop doing business with you, and potential customers will be turned off before they even try out your product or service. So, train your employees to treat customers well before this happens to you. If it’s already happened, then you need to act quickly and save your reputation before it’s too late. If you don’t have a bad online reputation, that doesn’t mean that you can become complacent. You want people to talk about your brand. You want publicity. No online reputation means that your brand doesn’t stand out. When brands go above and beyond to put their customers first, people talk about it. Take Zappos, an online shoe and clothing store, for example. In 2009, Zappos did the highly unexpected for a customer who forgot to pack her favorite pair of shoes when she traveled to Las Vegas. When she tried to purchase the same pair from their website, they were already out of stock. A Zappos employee then purchased the exact pair she wanted at a nearby mall and hand delivered them to her hotel for free. Two years later, Zappos went beyond customer expectations again when they helped out a best man for a wedding get the shoes the groom wanted him to wear. To date, these two instances where Zappos exemplified how important customer service is to their brand are still being cited online. Zappos has since maintained their excellent brand reputation. You can see the customer engagement firsthand on their social media pages. Some customers like to take their time when making a purchase, and they like to ask questions. 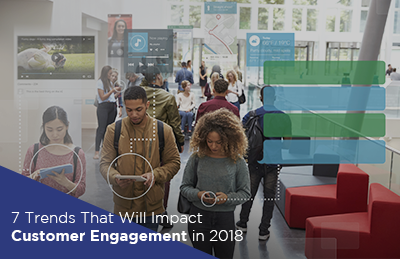 However, some employees think that there are other more important tasks they would rather attend to than talking to customers through purchase or post-sale concern. When employees rush through their customer interactions, it gives customers the feeling that they’re not important. So, they’ll take their business elsewhere, and you end up losing a sale and a potentially loyal customer who will return to make a bigger purchase. Don’t let this happen. Take the time to make customers feel important. All employees need to be oriented to provide great customer service before, during, and after the sale. Globalization efforts are bringing people closer together, as people travel more, and consumers from across the world are communicating with each other. As a result, your employees encounter customers from different cultures and backgrounds, and miscommunication ensues. Language and cultural barriers can be addressed with customer service training. Employees need to be armed with multicultural communication skills that can help them serve better and placate irate customers. How many of your customers are new and how many of them are repeat customers? If there’s a huge gap between the two, then your company is falling short of providing excellent customer service. This can also mean that your marketing team can be focusing too much on getting new customers, and your sales team isn’t providing awesome post sale services. Regardless of the reason behind the gap, your company should consider investing in customer service training to address issues in customer loyalty and retention. We’ve all experienced bad customer service at some point in our lives, whether it’s the unconcerned client support agent, the snooty receptionist, the unsympathetic nurse, or that inattentive waiter at the restaurant. When consumers experience bad customer service, they spread the word about it, and give your brand a bad reputation. 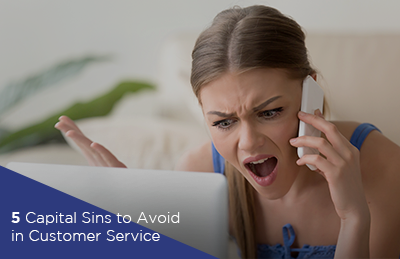 Just hop onto social media, and you’ll see other people’s accounts of bad customer service. Additionally, it’s up to five to 25 times more expensive to get new customers than to keep your existing ones. So, why not work hard at keeping your existing customers happy? Customer service doesn’t start and end with your customer support team. Make sure that employees across all departments are well-trained to provide excellent customer service.